For the first time, EPA will regulate methane emissions, starting with the oil and gas industry. Last year, President Obama initiated the process in his “Strategy to Reduce Methane Emissions,” which directed EPA to set targets and regulations. Soon after, EPA announced a goal of cutting methane emissions from oil and gas 40-45% by 2025 from 2012 levels, and today, EPA released the final regulations. EPA received over 900,000 comments on the proposed rules. Although it’s notable that EPA is targeting the entire system – leaks from wells, pipelines and valves across drilling, production and transportation – the rules only apply to new and modified oil and gas systems – not existing ones – which account for 75% of the problem. That is next, says EPA, but there’s not enough time to finalize more rules under President Obama’s administration. 29% of fracked gas is allowed to escape into the atmosphere. Worth $2 billion a year, it cuts into profits while stoking climate change. As a “climate forcer,” methane is about 86 times as potent as carbon dioxide over a 20 year period. It also contains cancer-causing volatile organic compounds (VOCs), such as benzene. Oil and gas companies must monitor and report on how much methane is released at production, processing and transmission facilities (a few do it voluntarily now). Owners/operators must monitor and repair leaks -twice a year at well sites and quarterly at compressor stations – using methods approved by EPA. Phases in requirements for capturing emissions at wells. These commonsense rules ask the industry to do what any responsible corporation does – implement measures that prevent pollution. Better maintenance practices and low-cost technologies are all that’s needed, especially since the methane that’s captured can be sold at a profit as natural gas. Colorado passed similar regulations a couple of years ago. Most companies find it doesn’t cost much to comply, and are either breaking even or profiting from having to inspect and fix leaks, says a report by the industry group, Center for Methane Emissions Solutions. Workers’ are doing a better job of attention to details, finding 2-3 leaks per inspection, most of which can be fixed in just a few days. Meanwhile, air quality is improving, as is worker care and safety, while significantly reducing emissions. But the industry is squarely against the national regulations. US entrepreneurs are jumping in to solve the problem of methane leaks. More than 75 companies across the country are part of a new “methane mitigation industry,” such as Rebellion Photonics, which won Wall Street Journal’s 2013 “Startup of the Year.” Its camera technology helps companies quickly find and repair leaks. As of 2014, methane emissions account for 10.6% of US greenhouse gases (up 11% since 1990). 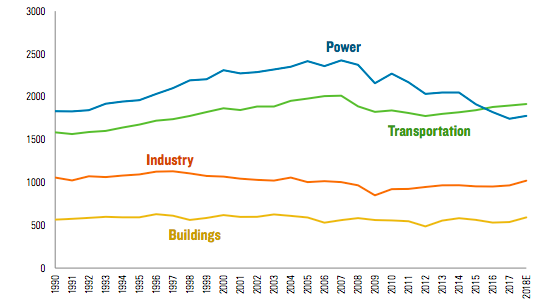 Without regulations, EPA projects emissions will rise 25% by 2025. About a third comes from the oil and gas industry – the largest single source – and the rest comes from agriculture/factory farms, landfills and waste treatment plants. EPA’s rules are complemented by those released this year by the Department of Interior for oil and gas drilling on public lands (not yet finalized), and the Department of Energy’s focus on equipment and modernizing pipelines. 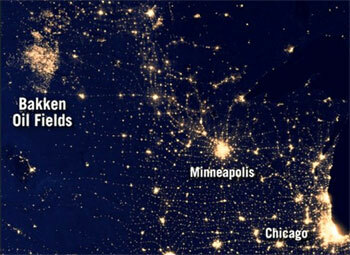 Satellites show the US flares more than any other country – about 6300 flares, burning off 11 billion cubic meters of natural gas. While there are 1700 flares in Russia, they burn off much more gas – nearly 20 billion cubic meters, reports Climate Central. The World Bank is piloting methane-reducing auctions to incentivize major emitters to capture and reuse methane gas from factory farms, landfills and waste treatment facilities across the world.